What does the paintbrush of your imagination create on your New England canvas? Forests coated with fall colors? Gleaming white church steeples? Wood covered bridges? Such a journey takes on a myriad of hues and complexities as simple as a pinkish sunset and as rugged as a bike race along the Atlantic coastline. Whether you are planning a family getaway or couples vacation, there’s no place like New England that brings out your inner history and culture geek. Vermont, New Hampshire, Maine, Massachusetts and Rhode Island are the anchor states where you can literally taste the foods of early settlers and relive the experiences of explorers as you tromp overgrown trails. And on a practical level, with the exception of Boston, the cities and towns of New England are easily drivable with clear signage and smooth roads. For Boston, the best thing you can do is leave your car at the hotel and take public transportation to wherever you want to go in the city. How long to stay? 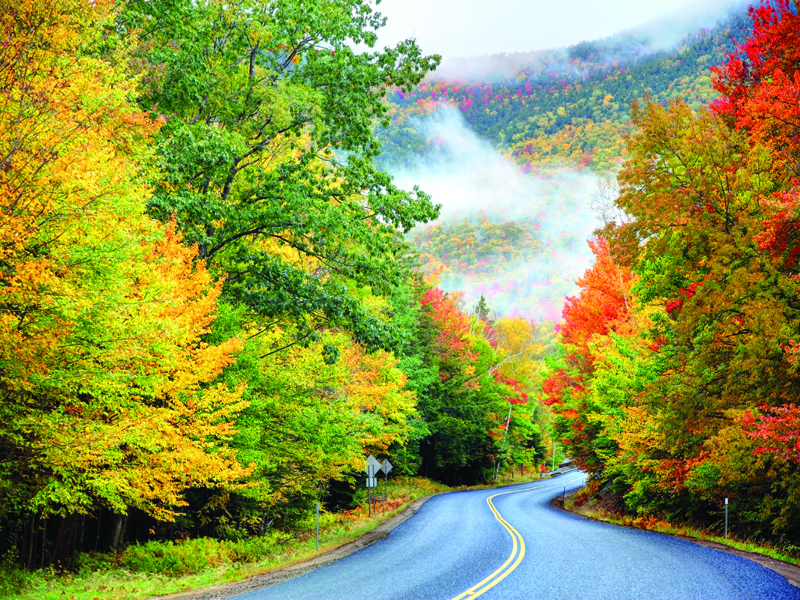 You can zip through New England in one week, but select what you want to see wisely. A ten-day or two-week stay affords you more time to immerse yourself in a single state and try a host of different activities. If you want to pick the most adorable state, I recommend Vermont. You would think the word “charming” was invented here. Crayola red barns, fields of grain, maple trees, and dozens of bed and breakfast inns pindot the landscape. I also want to note that the Trapp Family Lodge, owned by the offspring depicted in The Sound of Music, provides a rare opportunity to experience the region and learn more about the musical clan. With little traffic to speak of, you must take advantage of a clear day and rent a bicycle to meander through the quaint towns. If time affords, you may want to visit Killington for some skiing in the winter and hiking in the summer to the top of Mt. Killington at 4,241 feet. You can take in farm tours such as the one at Carman Book Farm in Swanton, to see how maple syrup is made in a sugarhouse the old fashioned way. You can go to the Simon Pearce Restaurant for gourmet eats and go shopping at the Simon Pearce glass gallery on the premises while watching glass blowers at work. Adjacent to Vermont is New Hampshire, known for its literary heroes such as Robert Frost and the contemporary Dan Brown of Da Vinci Code fame. In mountainous New Hampshire, known as the “granite” state for its many granite rock quarries, be sure to get your hiking shoes ready. Hit the White Mountain National Forest Historic Trail, a 100-mile scenic route laced with historic sites, rivers, and wetlands. On tap are many small towns and villages that look so quintessential New England you’ll want to whip out your drawing pad. Be sure to visit the historic Shaker Village in Canterbury to see how this early Christian sect lived, worked, and educated its children. 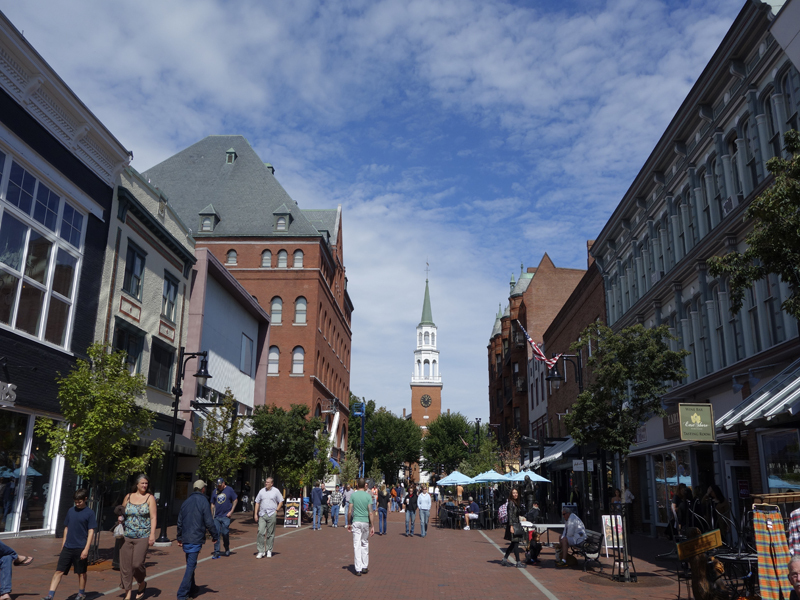 Next, a visit to Maine certainly means a trek to Freeport where you’ll find a plethora of outlets for everything from designer shoes to kitchenware. 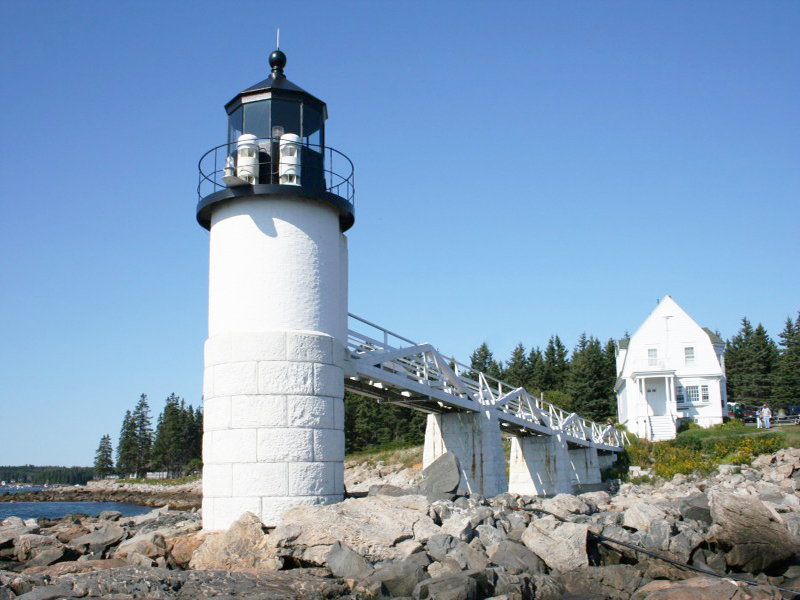 There’s more than shopping in Maine, for you must be sure to drive to Bar Harbor’s Acadia National Park to lock in some picturesque views of the water and lush forests. Activities such as rafting, fly-fishing and even spring skiing are available to the adventurer. Maine is especially proud of its warbler migration and guided moose safaris. All this running around should work up giant appetites for seafood. Remember, this is where the Maine in Maine lobster comes from. In New England, particularly in Maine, you can eat seafood morning, noon, and night with seafood in every dish from soups to desserts. Your camera roll of Maine will be filled with images of its islands, beaches, fishing villages, clambakes, wind-jammer cruises, and more. In Rhode Island, the country’s teeniest state, take your crew to big and small museums, and go on tours of the many grand Newport mansions. You must say hello to the famous Rhode Island School of Design’s Museum of Art in Providence and tennis fans can visit Newport’s International Tennis Hall of Fame and Museum. 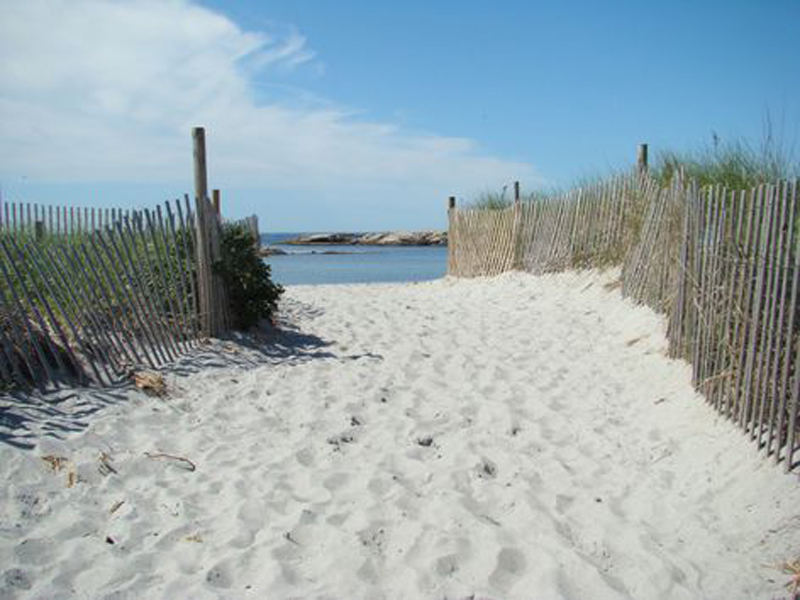 You can take the frenzied pace of the city a notch down in Cape Cod. This tourist’s seaport features a litany of water excursions, so jump on a boat ride on the waters of the Atlantic or leisurely wander the genteel streets. The sunset no less than spectacular, and noshing on a lobster roll as the sky turns orange is as close to heaven as you can get. The islands of Martha’s Vineyard and Nantucket with its myriad of quilted inns and romantic restaurants are only a ferry ride away. In the spring or summer or fall, the glories of New England pretty much leaves you breathless. The scenery, history, outdoor doings, museums, signature foods, arts and crafts galleries make for a phenomenal journey that has turned many a vacationer into a resident. For information about visiting New England, please visit California Tours site: USA Vacation Packages or call 415-393-4214 today! Kathy Chin Leong is an award-winning travel journalist who has trekked the world. Her work can be found in National Geographic Books, Sunset Magazine, and many others.